The Spring Mountain National Recreation Area, also known as Kyle Canyon Wash is located in the Humboldt-Toiyabe National Forest approximately 40 miles northwest of Las Vegas, Nevada. With over 6.3 million acres, the Humboldt-Toiyabe National Forest is largest national forest in the lower 48 states. Due to heavy monsoon rain events washing out previous drainage culverts, the Fletcher View Campground was in need of a safe vehicular bridge crossing. After considering the economies, aesthetics and speed of installation desired, a CON/SPAN® B-Series precast arch bridge complete with headwalls, wingwalls, formliner finish and EXPRESS® precast foundation was chosen for the replacement. 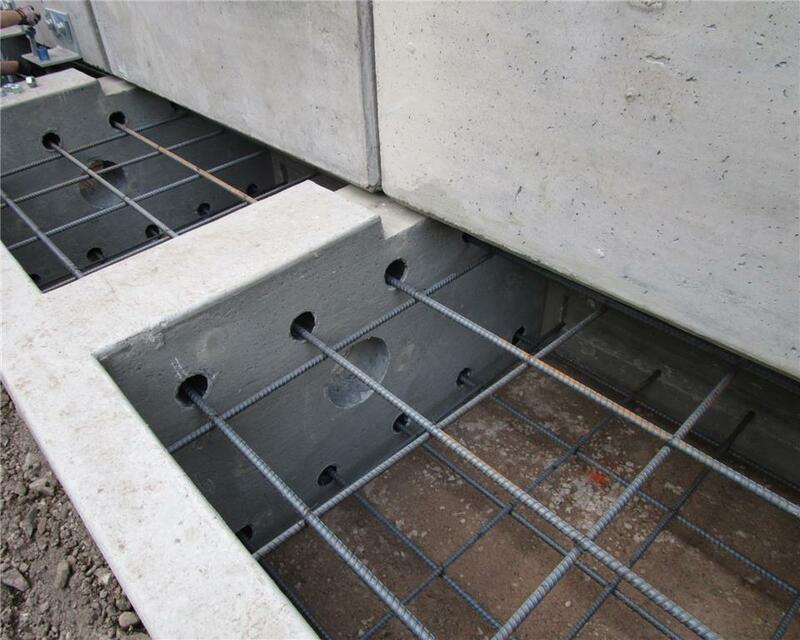 To ensure a safe and secure bridge, connection plates and dowel bar reinforcing steel were included to tie-in all the bridge components. Numerous designs and calculations were evaluated to address scour, sliding, and overturning due to high flow conditions the wash had previously experienced. 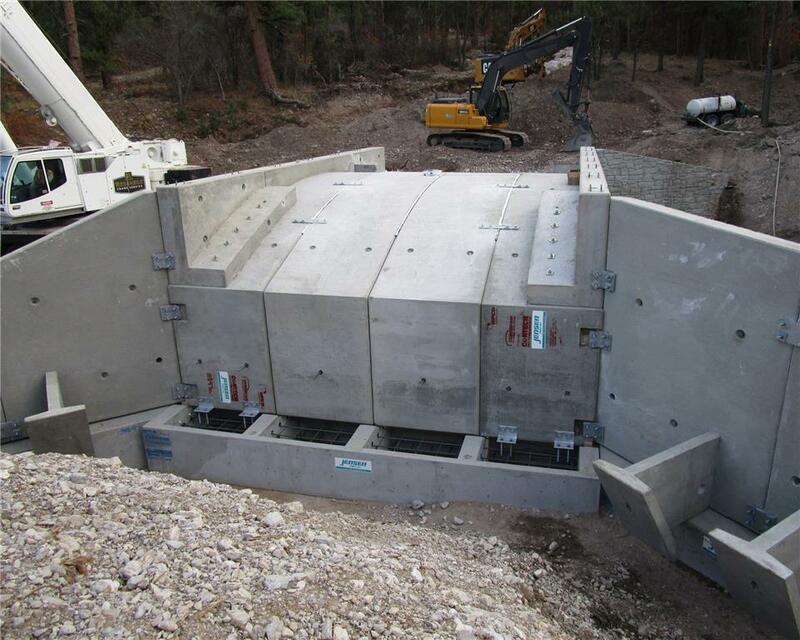 Overall, the installation was a success and the Humboldt-Toiyabe National Forest was pleased with the final product.